Our goal is to promote conservation of Earth’s resources, leading to a vibrant, healthy planet for future generations! By providing your organization with free, informative toolkits, you can now easily implement successful, sustainable initiatives at your school (or home or business). 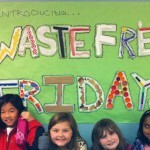 Nurturing responsible behaviors today will help foster environmentally-conscious change-makers for future generations. 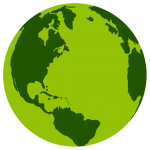 Whether you want to start a recycling program, reduce cafeteria waste, launch a “No Idle” campaign, or spearhead a student team (sometimes called Green Team, Ecology Club, or Sierra Club), we are here to help. Here is a great place to review step-by-step Toolkits based on “best practices” to ensure long term, successful programs. We have conducted school visits, reviewed national school programs, led our own teams, and initiated waste-free cafeteria lunches, all with plenty of trials and tribulations. While each organization will face its own challenges, we hope by sharing our favorites, we can make it easy and save you time. We will continue to post new ideas throughout the year on our blog page, member newsletter and Facebook page. Please share your own successes (and hurdles) too! 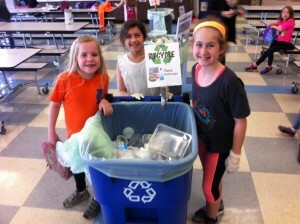 REMINDER: Review the school’s waste provider contract to confirm what materials are recyclable. While some schools can recycle milk cartons, many recycle haulers in Metro Detroit accept cartons. Make recycling obvious and easy. Signs can be useful constant reminders until it becomes habit. Recycle bins should be distinctly different and have signs with pictures on them. I like signs mounted at face level instead of the side of can. Last year, a school I worked with had only contracted paper and cardboard. Therefore, plastic, milk/juice cartons and aluminum cans were being tossed). 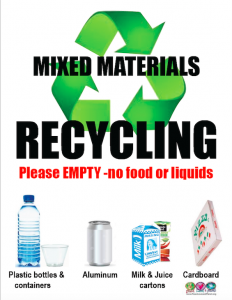 Download these signs and print for your recycling stations. 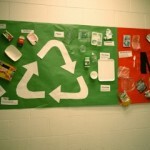 Help clarify what can and cannot be recycled. This helps reduce contamination and confusion.